1. 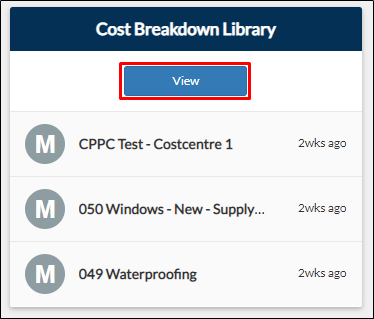 There are two options for accessing the Cost Breakdown Library. 2. You will be directed on the Cost Breakdown Library page. It displays the list of cost centres and the breakdown of its cost. You can add, update or delete a cost centre. Use Add Cost Centre to add new cost centre and its cost on the library. Use Update to update or modify the details of the breakdown. Use Delete to remove a cost centre from the list.